Here’s what you need to know about the new 6-in-1 jab that’s Pharma’s latest coup. Action Alert! 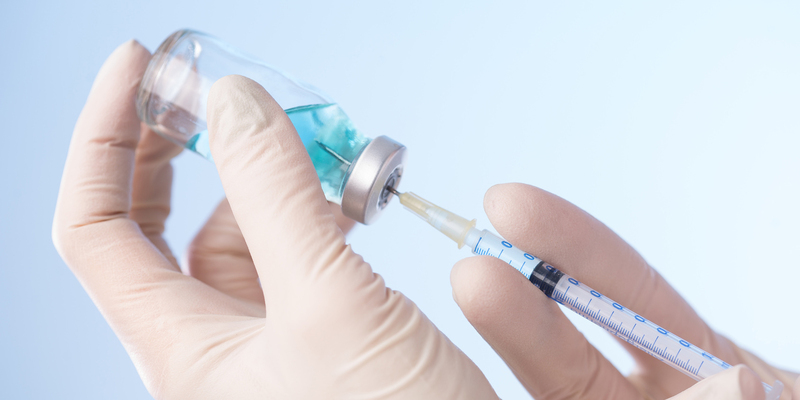 The vaccine, Vaxelis, has been approved for use in children from six weeks to four years of age to protect against diphtheria, tetanus and pertussis (DTP), polio, hepatitis B, and an invasive disease caused by Haemophilus influenzae type B (Hib). According to the package insert, Vaxelis contains a number of the dangerous adjuvants we’ve discussed previously, including aluminum and polysorbate 80. These toxins are combined with active vaccine ingredients such as inactivated polio viruses, influenza, and the others. First, it’s shocking and outrageous that six infants died in the trials and the vaccine was still approved. Of course, the manufacturers claim that the deaths were not related to the vaccine, but how could they know? Unlike drugs, where the trials can last months or years, vaccine trials only last a few days or weeks and the follow up period is also very short. The manufacturer claims that none of the deaths were related to the vaccine, but reports the following causes of death: two cases of Sudden Infant Death Syndrome (SIDS), asphyxia, sepsis, hydrocephalus, and an “unknown cause.” So, the cause of death is unknown, but definitely not the vaccine? There is also a connection between SIDS and vaccines. The CDC denies this connection, but the Vaccine Court ruled in favor of a family in 2017 because it concluded that vaccines more likely than not “played a substantial causal role” in the death of their child from SIDS. If vaccines can lead to SIDS, how many deaths listed as SIDS are actually vaccine-related? The FDA and CDC don’t seem interested in pursuing these vital questions further, content instead to turn a blind eye to obvious safety issues lest they undermine the public’s confidence in vaccines and Pharma’s profits. Vaccine trials also don’t use true placebos, but are instead compared to other vaccines, making it more difficult to determine if adverse events are related to a given vaccine. These simple facts should raise red flags for any sensible person, but apparently, they don’t bother the FDA. Second, delivering six vaccines in one shot along with the associated adjuvants, is a substantial burden for a young immune system to handle. One study found that vaccines cause more adverse events in children than any other drug—and this is when vaccines are usually given one at a time. Given the inadequacy of the testing done on vaccines in general, caution dictates that we look at this vaccine with a large dose of skepticism. Third, the approval of this vaccine could spell the end of parents’ ability to follow alternative vaccine schedules. Some parents may choose to vaccinate for one disease but not another based on their research and the advice of their doctor. This possibility is diminished with the approval of multi-shot vaccines, which Merck and Sanofi will undoubtedly market to doctors as the next best thing in pediatric care. Doctors will be sold on the fact that fewer shots means less time per patient and more patients in the door. Less demand for single shot vaccines will mean manufacturers will stop offering them, so parents will face an all-or-nothing choice for vaccinating their child. If single shots become a thing of the past, this multi-shot vaccine creates de facto mandates for the polio and Hib vaccines, which are not currently required by most states, so children will be getting even more vaccines than they are currently. Doctors are happy because they can vaccinate more children in a shorter time; Big Pharma is happy because they can likely charge a premium for their multi-shot vaccine. Everyone wins but the patient. Merck and Sanofi do not care about safety or reducing the shots that children get. They care about money. There is no pressing need for a 6-in-1 vaccine when there are already single shot vaccines for each of the diseases it covers. The approval of this vaccine exposes children to unnecessary risk for the benefit of Merck and Sanofi’s bottom line. Consider that the vaccination rates for Hep B and polio are 90.5% and 91%, respectively: the vaccines with the highest rate out of the whole schedule. The rates for DTP and Hib are 83.4% and 81.8%, respectively. This means that there are children getting some vaccines but not others—a missed opportunity for the vaccine makers. If Merck and Sanofi can capture those children with the convenience of a multi-shot vaccine, they sell more vaccines than they would selling single shots as they do now. And if your child gets injured, too bad! The vaccine makers are shielded from liability by the federal government. Your only recourse is to take your chances in the Vaccine Court, which for most people is an uphill battle that takes years and is often not successful. We continually hear the refrain that vaccines have been studied over and over without any negative findings, so we should just keep quiet about vaccines. If that were true, why did the National Academy of Medicine, which advises the government on issues relating to medicine and health, conclude in a 2013 report that “key elements of the schedule—the number, frequency, timing, order, and age at administration of vaccines—have not been systematically examined in research studies”? Are proponents of vaccines not bothered by this lack of research? Reasonable people can ask reasonable questions about vaccination—indeed, we must ask these questions given the risks that are involved. When the government pays out billions of dollars over the years to families damaged by vaccines, we have a right to call for safer vaccines. We also have a right to consider the evidence and come to our own decisions about whether to vaccinate and on what schedule, yet state governments around the country are following California’s authoritarian example, where even the medical exemption is coming under attack. Action Alert! Write to Congress and the FDA, telling them to revoke approval of Vaxelis pending further safety studies. Please send your message immediately. State-based alerts! If you live in one of the states below, click the link to take action on bad vaccine bills that your legislature is currently considering that either restrict exemptions or mandate one or more vaccines for school-aged children.